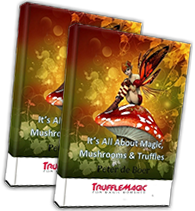 Have you always wanted to grow your own magic mushrooms but you’re intimidated by the complicated steps? 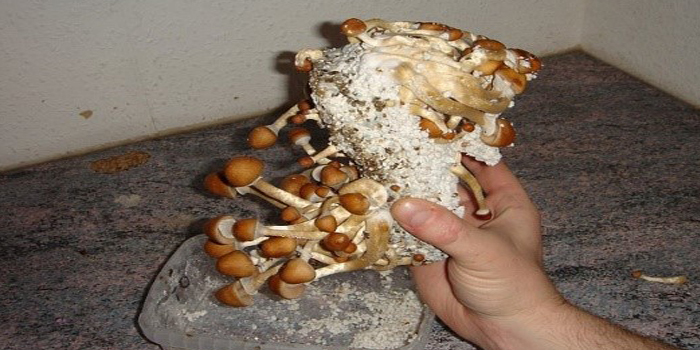 This article will go over the 12 easy steps to grow magic mushrooms. 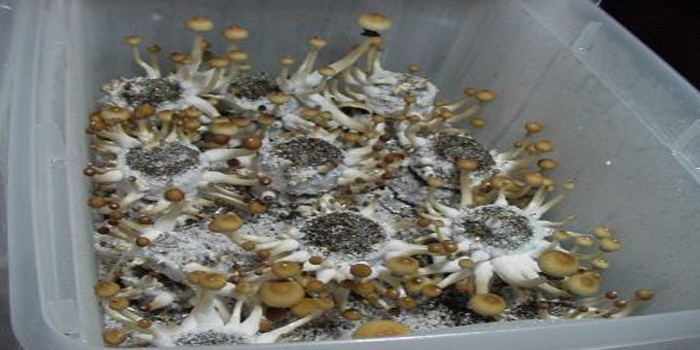 The method used here is the PF Tek, one of the most basic grow techniques which can be used to grow a wide variety of magic mushrooms especially those from the Psilocybe genus. Pressure cooker. If you don’t have one, browse your local thrift store for a cheap pressure cooker. This is the most important equipment when it comes to cultivating shrooms. Without it, you won’t be able to sterilize your substrate and your shroom grow won’t be as successful as desired. Vermiculite. This is a medium which helps the substrate retain moisture. You can find it in small nurseries or in big home improvement stores. Perlite. You can pick this up from the nursery too. These small, white particles maintain adequate air and improve respiration for plants. 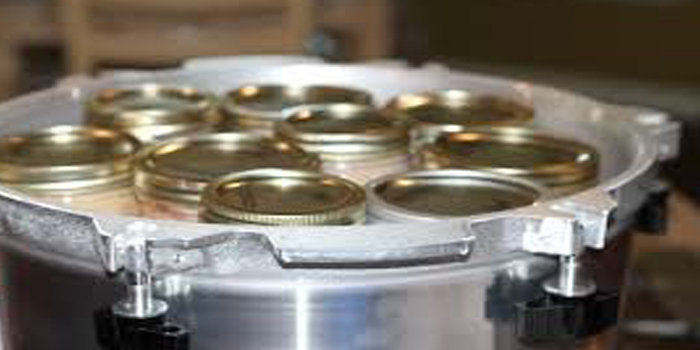 Canning jars. ½ pint varieties will do as long as they are wide-mouthed with a lid. You can find them in any department store. Spore Syringe. You can find spore syringes online or in local shops. Find the spore syringe which contains the strain you wish to cultivate. Aquarium or large Tupperware. This will serve as your humidity chamber. You can buy a large-sized aquarium for less than $10 in a thrift store. Hammer and nail. If you don’t already have this in your garage, something’s wrong with you. Aluminum foil. You should have this in your kitchen cabinet or counter. Head to your local grocery store if you can’t find any. Alcohol lamp. This plays a crucial role in sterilizing your needles and other materials. Make sure your alcohol lamp is fully functional and safe. Brown rice flour. This will serve as your substrate – what the mycelium will feed off. Choose the highest quality available. 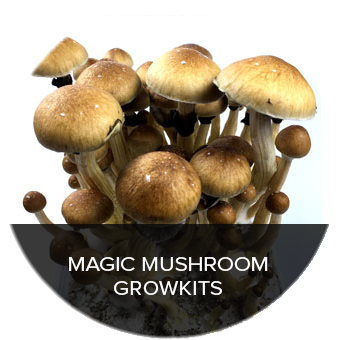 Spore syringes are the easiest and safest way to start your magic mushroom grow. These can be ordered online from different sources. Just be sure you’re purchasing from a reliable supplier to prevent growing unwanted shroom varieties. 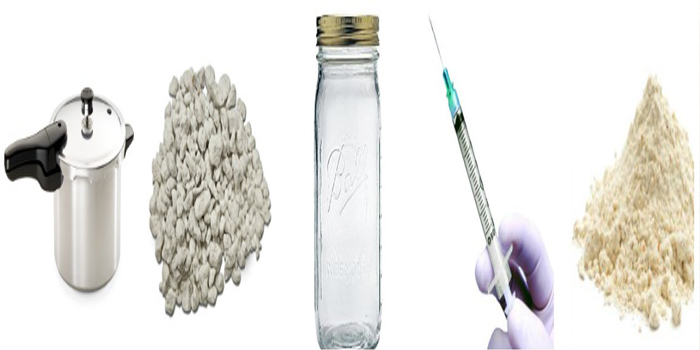 However, before you can use your spore syringe, you need to prepare your jars using a hammer and nail. Remove the jar lid and place it on a table. Take a nail and make 4 evenly-spaced holes around lid’s edge. Simply put, the substrate is just what the fungus will use as its source of nutrition. Different substances can be used as substrate (such as sawdust, ground coffee, dung) but psilocybin mushrooms thrive pretty well in brown rice flour. Some people add worm castings to the substrate. Worm castings are said to improve mushroom flushes. Couldn’t hurt to try. After evenly mixing your moist substrate, you can pour them into the substrate jars. Wipe off all moisture from inside and outside the jars. Don’t pack them tightly. You want to have loosely-filled jars. Leave half an inch of space between the substrate and the top of the jar. 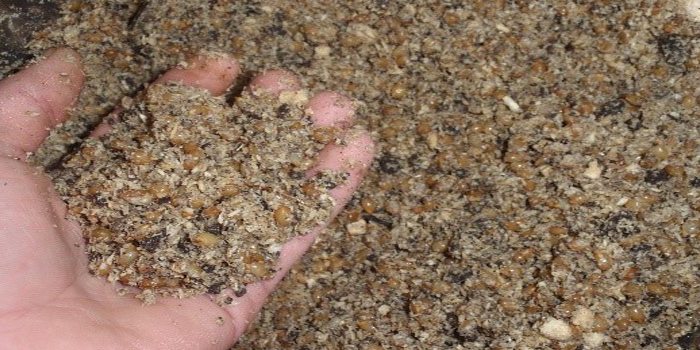 Fill the remaining space with dry vermiculite to provide an obstruction or a barrier between the microbes suspended in the air and the substrate. Now is the important step to remove all contaminants from the jars. Think of this as cleaning house to allow the mycelia to flourish without any competition. Place a square piece of foil over the lid covering the holes to protect the jar from contaminants from the environment. Crumple it downwards to form a sort of seal around the jar lid. Put 3 inches of water inside the pressure cooker and place as many jars as you can. You can stack them if you run out of room but just be careful because some jars may crack. Close the pressure cooker and start it up. Wait until the pressure regulator or the weight on top of the cooker starts shaking. This is generally a sign that the jars are already under 11 to 115 PSI depending on the manufacturer. Let the jars sterilize for an hour. It’s best to do this in the evening so you can let the jars cool down overnight. By morning, you’re ready for the next step. Inoculation sounds complicated but it’s simply the process of adding spores to the sterile substrates to allow the mycelium to latch and develop. This is when your substrates are the most susceptible to contamination so be careful. Remove a jar from the pressure cooker. Heat the syringe using the alcohol lamp until it becomes red hot. Let it cool for a few seconds. Take off the foil and insert the needle of the spore syringe into the hole you punched earlier. Push the plunger to inject approximately 1mL of the spore solution into the substrate. Repeat with the other holes in the jar then replace the foil. 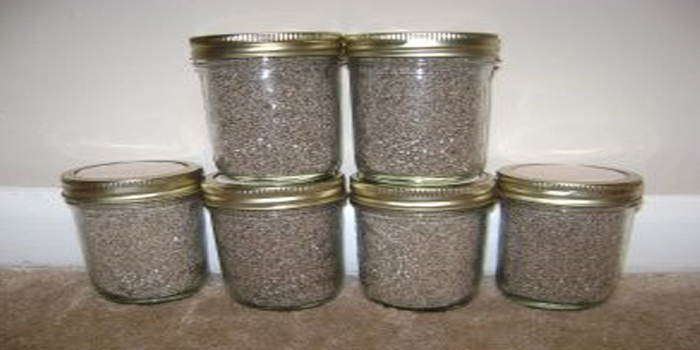 Allow the mycelium to take over the substrate by placing the jars in a warm and dark environment. Some ideal spots are the cupboard above your refrigerator or in a cardboard box in a corner of your room. Ideal temperature is around 80 to 86 degrees F. If you can’t keep the temperature within that range, it may take a little longer for the mycelium to flourish. During this time, mycelium will absorb plenty of nutrients and water from the substrate. You’ll see the first hairs of mycelium in around 3 to 4 days. When you’ve done everything correctly, the fungus will completely colonize the substrate in 3 to 5 weeks. You don’t need a lot of fanfare to set up an effective fruiting chamber. It’s purpose is to create a high humidity environment for the mycelium to produce fruiting bodies – the magic mushrooms! All you need is an old aquarium or a large Tupperware box. Humidify the fruiting chamber by filling it with perlite which was soaked in a bowl of cool water for 5 to 10 minutes. Like the bottom of the container with this wet perlite. This set up will allow water to slowly evaporate and create a high humidity environment inside the fruiting chamber. Lay aluminum foil on top of where you’ll be placing your substrate cakes. Cover the chamber tightly. You can drill some holes to allow air exchange. Magic mushrooms need a small amount of oxygen in order to survive. The next step would be to pop the cakes or birth them. This is not as complicated as human births. Birthing cakes is a simple process which involves taking off the foil and lid, flipping it upside down, and giving the jar a few smacks downward to dislodge it. After birthing, soak the cake in cold water for an entire day. This would shock the fungus to fruit faster. Remember that mushrooms are 80 to 90% water. Depending on the magic mushroom strain you have, it may take 2 weeks for the first flush to complete growing. The cakes will last for 3 to 4 flushes in which case you can dunk the cakes for 24 hours in water to rehydrate them and reactivate the growing mycelium. When picking shrooms, grab them at the base and pull. You can also cut them off from the base. If you can’t follow these 12 steps to the letter and you keep failing bringing magic mushrooms into the world, don’t worry. All is not lost. 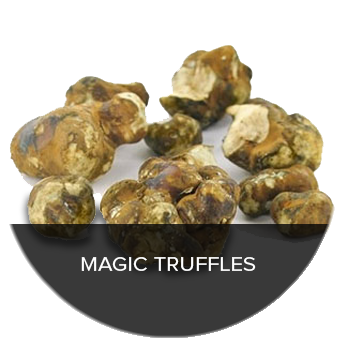 You can buy magic truffle grow kits online. 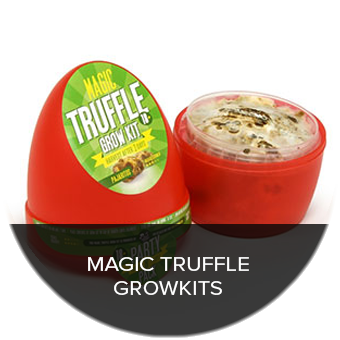 These grow kits are guaranteed to produce psychedelic truffles in the shortest amount of time possible and with very little effort. Whether you’re growing shrooms through PF Tek or through a grow kit, always be conscious of your set and setting. Have a happy trip! I really wanna try this. I have a very small room (but clean, I can be sure of that) but I don’t know how to. I’ll try to follow the steps very keenly and observe anything that may cause me to fail. I’m from the philippines, mostly the weather here is very hot. Would it affect the growing process? Do I need to have an airconditioner to grow this? Please advise. Thanks a lot.